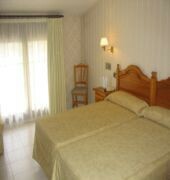 The hotel comprises a total of 60 double rooms spread over 5 floors. 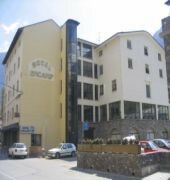 The hotel features a foyer with 24-hour reception desk, a safe, lifts, a cafe, a nightclub, a games room, a TV room and a public Internet terminal. 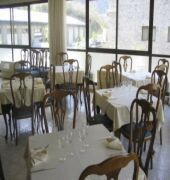 The hotels own restaurant with highchairs for infants invites guests to stop off and indulge in some delicious cuisine. Those arriving by car may make use of the hotel car park and garage facilities. Laundry and room services round off the offerings.